All discussions and attention in our world of pumps and the broader industry are around Industry 4.0 and also in the Verder Group more resources are being allocated to stay ahead in today’s technological shift. 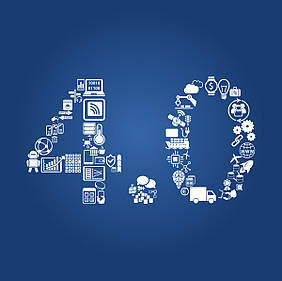 Industry 4.0 is not the whole story of the major changes we are witnessing. The consolidation of suppliers which has been going on for a number of years now is speeding up by changing requirements of our users. It is no longer sufficient to make “just” a good product but aspects as speed of quotations, delivery, service and a well-informed customer are leading the need for changing organizations. The speed increase in everything we do is significant and is becoming a standard expectation. This is driving improved structures in the companies as we know them today. The communication between manufacturer and distribution has to be shortened and cost of cross border administrative processes can no longer be placed on our users. These changes require a full review of the organization as we have known it so far and offers great opportunities for internationally organized suppliers. Of course many steps which need to be take are related to IT or Industry 4.0 but cannot be achieved without a large focus on organizational structures. We are seeing a clear trend where customers are better informed and look for suppliers which are objective in their selection of technologies. It has been an important mission for the Verder Group to make sure we have full manufacturing knowhow on the different niche market technologies so important for real customer solutions. Changing and customer focused organizations will be supported by industry 4.0 and the other way around. Curious to know how Verder Liquids is getting ready for 4.0?